The actress admits that online criticism of her could have been a "catalyst." "Game of Thrones" star Sophie Turner has opened up about her struggle with depression. 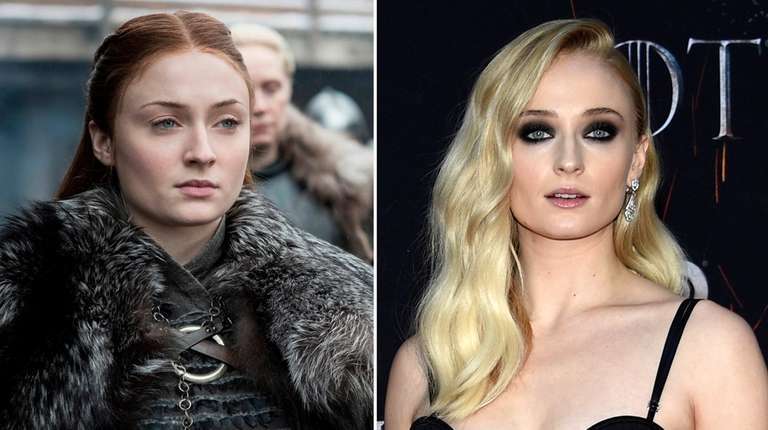 "I've suffered with depression for about five or six years now," the English actress, who plays Sansa Stark on the hit HBO series, told TV psychologist Dr. Phil McGraw on his podcast posted Tuesday. "The biggest challenge," she explained, "is just, for me, getting out of bed and getting out [of] the house and, like, learning to love yourself." Turner, who on the podcast gave her age as 22 though most outlets say 23, told McGraw, 68, that she had had a happy childhood "and it only started to kind of go downhill, I think, when I started to hit puberty … at, like, 17, and my metabolism was slowing down massively and I was gaining weight." By then a teen star of "Game of Thrones," she was bombarded with online sniping about her appearance and her acting, "and that was when it kind of hit me." She said social media was not "the main reason" for the onset of depression, which she attributed to "some sort of chemical imbalance. But I think it definitely was a bit of a catalyst." After Turner recalled two near-suicides by someone close to her, McGraw asked if suicide had ever seemed "a good option" to her. "Yeah, it did," she responded. "It's weird. I say that I wasn't depressed very much when I was younger but I used to think about suicide a lot [then] . … Maybe it's just, like, a weird fascination I used to have. … I don't think I ever would have gone through with it," she assured. Today, "I feel much better" due to therapy, medication and her fiancé, singer Joe Jonas, 29, who "makes me realize that I do have some redeeming qualities, I suppose, and when someone tells you they love you every day it makes you really think about why that is, and I think it makes you love yourself a bit more."